Copyright © 2010-2017 design NAP All Rights Reserved. 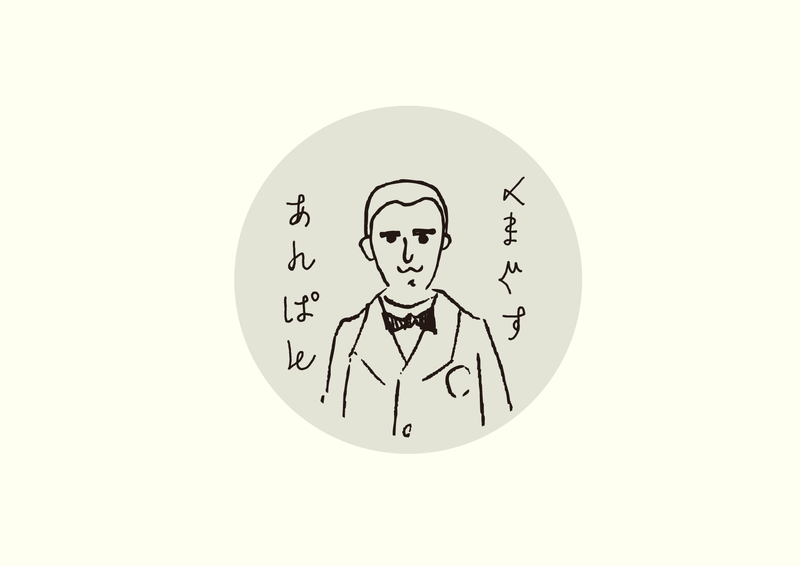 As a gifted person born in Wakayama, Minakata Kumagusu is also known as “The Walking Encyclopedia”, being an expert in natural history, folklore, bacteriology, astronomy, anthropology, archeology, biology, and many other fields of study. With eccentric mannerisms and way of talking, and being far from an average person, Minakata Kumagusu leaves behind a lot of stories for the next generation. We try to express the cutest side of Kumagusu Minakata. Thus we illustrate his portrait like a “yuru-chara” so that this appeals to girls. design NAP is design office in wakayama-city ,Japan.